Wash and soak the millet for 2 hours. Soak poha separately for 2 hours. Drain and grind everything to a smooth batter adding grated coconut and tender coconut water. Add sugar, salt and ferment for 8 hours. Let the batter be little thin. Preheat an aappa kadai lightly. With a ladle, add 1 measure of the batter, swirl the aappa kadai 2-3 times so that it spreads lightly, thin at edges and remaining batter will settle to the centre of the kadai. 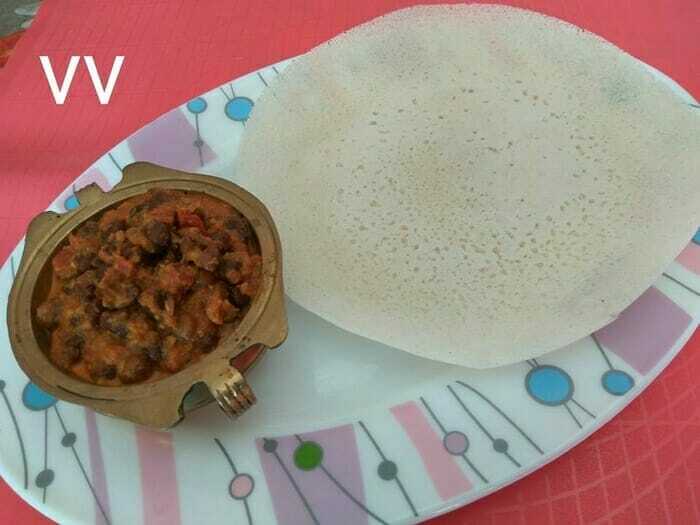 Serve with Ishtu or Kadala Curry.